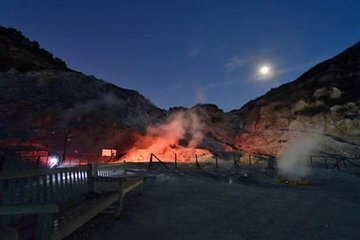 Haga un recorrido nocturno por el volcán Solfatara para una experiencia inusual y memorable en Italia. Evite las aglomeraciones diurnas y recorra el sitio al anochecer con un guía que comparte las historias, la ciencia y la mitología que rodea el volcán. Después de ver el volcán, el recorrido continúa hacia las fumarolas, donde las delicias locales se cocinan con vapor volcánico. Termine el recorrido con un aperativo local de sardinas y vinos Falanghina de Campi Flegrei. Prueba los vinos y bocadillos de Falanghina después de ver el volcán. Really enjoyed this trip and was glad to have discovered Dinneround. I had looked at organising this myself - i.e. booking transport to Solfatara on Viatour and booking the tour tickets indepedently - but then I saw this tour by Dinneround which was about the same price but included hotel pick up/drop off and an English-speaking guide. Bonus! Mario arrived exactly on time to collect us from our hotel and told us a bit about Solfatera and Naples along the way. During the drive, we stopped briefly to admire the sunset over the bay of Naples and then we enjoyed a drink while Mario sorted out/collected our tour tickets. The tour itself was in Italian and a large group but we hardly noticed it: with Mario beside us to translate and to answer all our questions, it felt like an exclusive private tour. Solfatara at night is very atmospheric and well worth seeing. The cooking demonstration was interesting the fish and falangina we sampled were very good and I think the sulpherous atmosphere even cured my headcold! In sum, Mario looked after us very well and went out of his way to ensure the tour was a pleasure for us.  I will certainly book other tours with Dinneround and have no hesitations in recommending them to others.